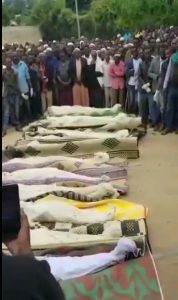 (OPride)—Moyale was once again the epicentre of carnage as a week’s worth of it left around 50 people dead earlier this month. The town and its environs, hotly contested between the Borana Oromo and Garri Somali peoples who inhabit the area, often sees disputes lead to communal clashes. However, the severity of what has transpired goes beyond the templated shootout among pastoralists. Civilian areas have been targeted, women and children have died, infrastructure has been damaged. The federal government has been slammed for what is deemed to be its lackadaisical approach to the conflict. “I’ve been shot in three places. I’m lucky to be alive,” Hussein Ali 44, told Opride. He is among 45 Garri Somali patients being treated at Moyale’s Central Hospital. “They were Oromo, some had machine guns, others used branches to set houses on fire. They shot all my neighbours. 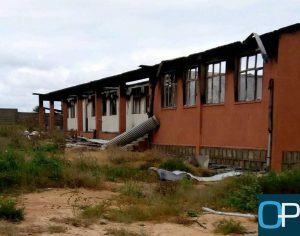 They burned everything, even the small shops.” Hundreds of people belonging to the Garri Somali clan are believed to have been displaced from their homes by the violence. A yet to be determined number of them have fled across the border into Kenya. 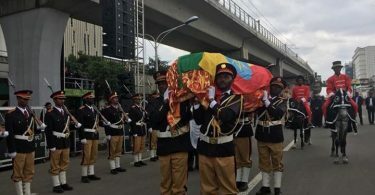 Far from the mitigating presence one might expect it to be, Addis Ababa has historically sought to exploit the dispute to serve political needs and can arguably be blamed for exacerbating tensions between the two groups. During the 1970ies, the Ogaden war with neighbouring Somalia resulted in a portion of the country’s Somali region falling under occupation by troops loyal to President Siad Barre’s Somali National Army. In 1987, the President Mengistu Hailemariam led Derg government established the Borena autonomous region, which encompassed all of Moyale and its surroundings. The move was likely fueled by suspicion of the Garri and their being deemed as collaborators for the Somali army and the Western Somali Liberation Front (WSLF) insurgent group. It gave the Borana unrestricted freedom to roam across the rural landscape without contest. Later, after the fall of the Derg, the ruling Ethiopian People’s Revolutionary Front (EPRDF) split the region and the town of Moyale into the Somali and Oromia ethnic regions. Under Meles Zenawi, the EPRDF’s policy included arming Garri militias to chase after the Oromo Liberation Front (OLF). Empowered by the tacit support from the federal government, Garri militias also went after their Borana counterparts and the once sporadic clashes increased in frequency throughout the 90ies and into the new millennium. In recent times, the emergence of another federal government backed armed force, the Somali State Liyu Police has served to drastically exacerbate the situation. The regional paramilitary force has been accused of venturing into the contested areas and killing Borana pastoralists, who wouldn’t stand a chance against the heavily armed well trained Liyu Police. Last year, they were key instigators of the Oromo/Somali communal violence that led to a general breakdown of order and the displacing of over a million people. The ascension of Abiy Ahmed to the Premiership in April hasn’t brought much change to the region. Lauded for reformist policies, he is yet to get his hands dirty in solving the age-old Borana-Garri pastoralist conflict. 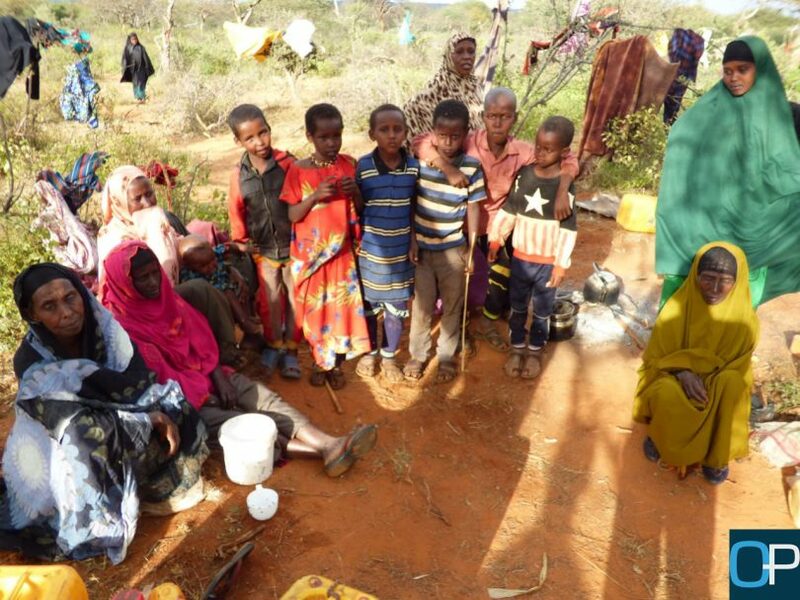 Adan Kulow, a Moyale born Nairobi based humanitarian law expert and Garri activist says that tension had been brewing for much of the past year. On Tuesday July 10th, clashes between pastoralists outside of the town killed some ten people. But it is what followed over the next three days that has shocked the inhabitants of the region. Between the 11th and the 13th, villages in the areas of Chamuq, Malab and Hararsam were completely razed to the ground. The villages targeted were inhabited primarily by the Garri. People were massacred and property set ablaze, sometimes with their doomed owners inside. 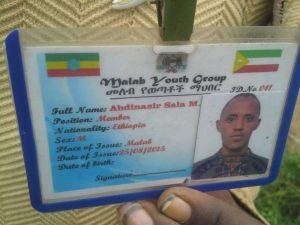 The perpetrators appear to have been members of an armed Oromo militia. 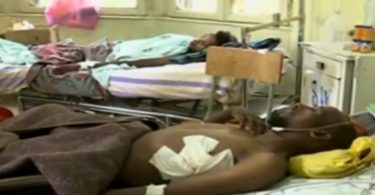 Mohammed, who is being treated at the Moyale Central Hospital, described his attackers as being a mix of armed militants with gangs of youth. According to him, some of the militants wore camouflage uniforms. Mohammed insists that these were Oromia regional security forces. 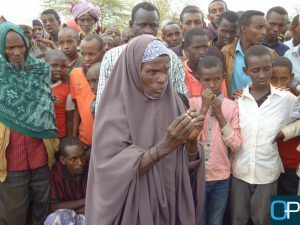 Also being treated at the same hospital is Abiya Abdishekur, 70, who lost four children when her village was attacked on the night of the 13th. 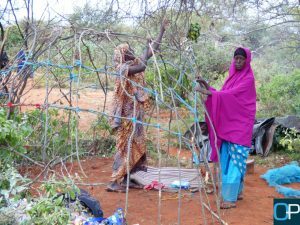 Abiya, who lives in the Malab kebele, some 10 km away from Moyale, recounted her horrific experience through a translator. Abiya suffered severe burns. But seven members of her family, including four of her children succumbed to either smoke inhalation, or were burnt alive. She believes OLF rebels carried out the attack. 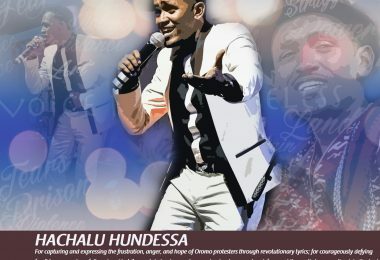 “Oneg,” she said, using the Amharic language acronym for the group. 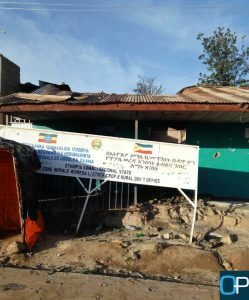 The attacks against the Oromo populations in Eastern Hararghe came barely a month after rights group Amnesty International called on the Ethiopian government to disband the Liyu Police paramilitary group. Whether or not the attacks against the Garri Somali clan in and around Moyale were to avenge Liyu Police raids into Oromia isn’t clear. But if they were, the Liyu Police haven’t been targeted in any way. Opride has been able to confirm that the Garri Somali community in Kenya has been able to take up their concerns with the highest level of Kenyan government. Members of the community as well as several Kenyan Somali MPs were also given an audience with Ethiopia’s ambassador to Kenya, Dina Mufti. Possible involvement of the Oromia state government? Adan Kulow told Opride that despite the presence of a federal army base in town, Ethiopian soldiers have refrained from getting involved. A commander from the base allegedly told a Garri community leader that as there was no longer a nationwide state of emergency, this was an issue to be dealt with at state level. “Basically we were told that we were on our own.” he sounded resigned. 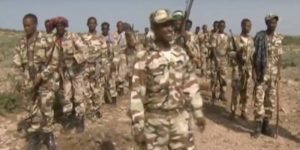 The Prime Minister may have ordered the mobilization of federal troops towards areas along the Oromo Somali border in recent weeks, but residents in Moyale tell Opride there has been no new movement of troops towards their region. For now, there appears to be a letup in the violence. Despite this, tensions are high and the situation remains precarious. 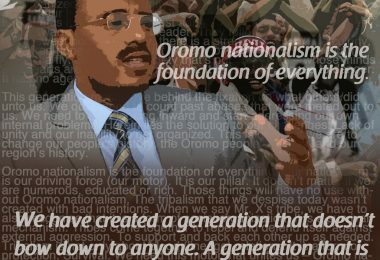 Oromo nationalism is as bad as any other nationalism. 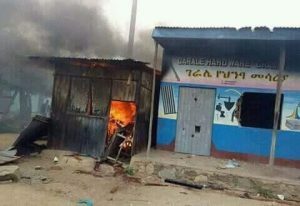 Somalis were on the receiving end of oromo violence, and it seems that the election of Aby Ahmed gave oromo the the licence to kill and burn their neighbours, the Liyu Police were a scapegoat for oromo brutality, but the somali nation from Djabuti to Garissa and Mogadishu to Harar is taking note of what is happening to their brothers at the borders with oromo. It is not only the somalis at the borders but the whole somali region its government and leaders are being targeted by Aby Ahmed and Lemma, it is time to wake up Somalis.